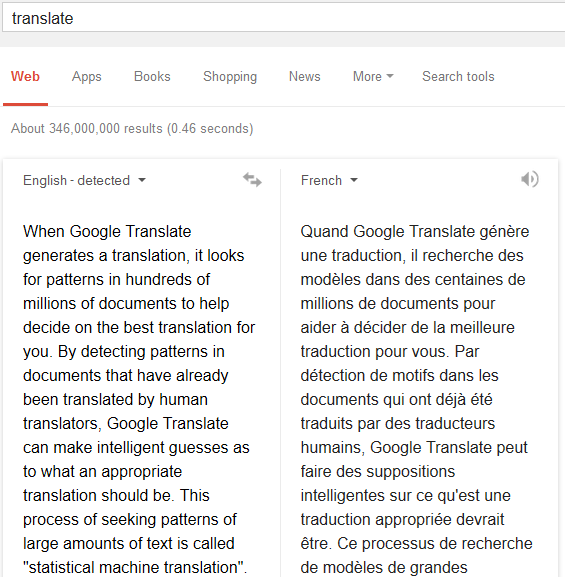 The updated translation card for Google Search provides many of the features of the Google Translate site. Just search Google for [translate], pick the destination language, type the text you want to translate and Google translates the text in real time. By default, Google detects the language automatically. 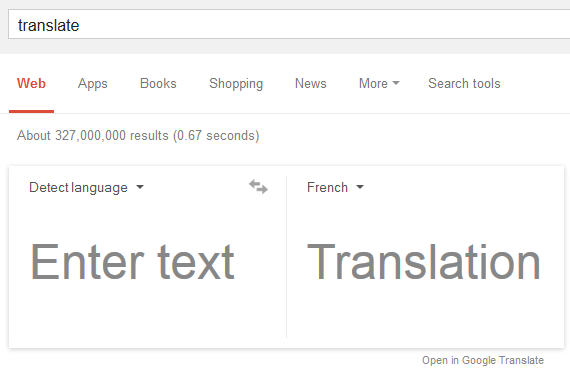 Until now, you could have searched Google for [translate X into LANGUAGENAME]. Google only processes the first 32 words from a query, so you couldn't translate long texts. Now you can type or paste long texts in the translation card. There's still a limit, so you might see this message: "Text exceeds character limit. Open in Google Translate to see translation". For more advanced features, click "open in Google Translate" below the card.